Did you know the University of Michigan proudly claims the largest living group of alumni in the world? Many Michigan graduates go on to achieve incredible success in their chosen fields, none more profoundly than Raoul Wallenberg, 1935. 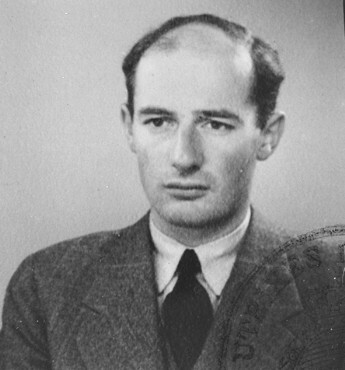 Before Raoul Wallenberg risked his life as a World War II humanitarian, he was a University of Michigan student learning life in a new country; an aspiring architect absorbing the beauty of America’s cities; and a young man confronting the trials of college: discovery, anxiety, accomplishment and love. He graduated in 1935 as the top student in his architecture class. The online U-M Heritage Project is an immersive, digital experience of the University of Michigan's past. It is a collection of multimedia stories about the people who have shaped, and been shaped by, one of the world's great public universities. All this month, students and campus visitors can also learn more about Wallenberg from this exhibit in the Michigan Union 's first floor art lounge.